The latest project in Pamporovo is the newly opened mountain bike park „Pamporovo Bike Park”, constructed, with the assistance of Concept Creative. It was officially opened in the Summer of 2012 and quickly managed to become one of the leading bike destinations in Bulgaria. 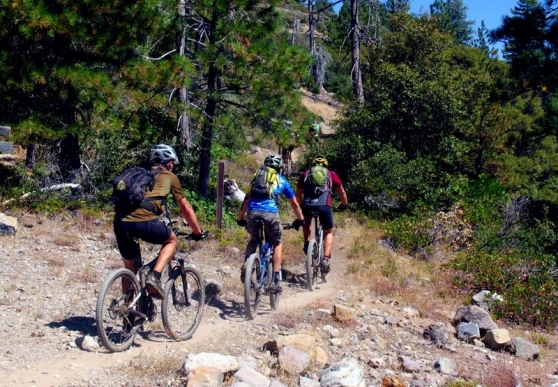 The park has a total of 5 specialized mountain biking tracks and routes with a total length of more than 20 km, suitable for all ages and skill levels. The tracks offer diverse obstacles and challenges, such as turns, jumps, various wooden structures, unique in Bulgaria, as well as marked routes of varying level of difficulty, focused on the cross-country style. Everybody who does not have their own bikes can rent the latest models offered by "Drag". The bike rental shop at the Studenets Centre offers bikes of various classes – from ordinary journey bicycles to fully-equipped downhill bikes, suitable for professionals. Qualified guides are available to accompany everyone needing assistance along the tracks of the bike park. The Pamporovo Bike Park quickly managed to establish itself as one of the most frequently visited biking and tourist attractions. From its very first season the bike park was the host of several sports events, including the national mountain biking championship in the downhill and cross-country categories, a workshop in mountain biking and demonstrations by famous bikers on the global biking scene.